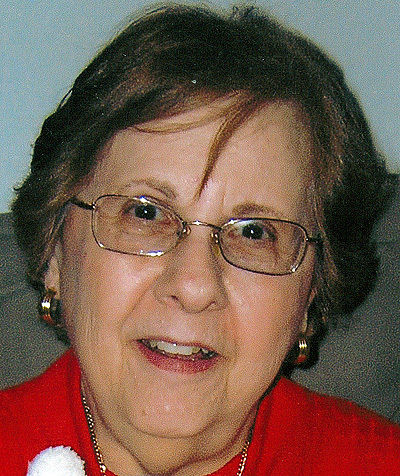 CORTLAND — Helen Marmarinos-Hitchcock, age 92, of Cortland, went home to be with the Lord on Friday, April 12, 2019. She was born July 24, 1926, in Warren, the daughter of Greek immigrants John and Zabetta Hadzigeorge Marmarinos, and lived most of her life in the Warren area, living also for a while in California. Helen was a 1944 graduate of Warren G. Harding High School, and later attended secretarial school at Youngstown College (now YSU). She worked in the office at RMI. An active member of Living Word Sanctuary church, she enjoyed reading and her grandchildren, and loved the Lord Jesus and going to church. Precious memories of Helen live on with her two sons, Michael Deniakis (Dianne) of Howland and Kevin Brown (Doreen) of Florida; seven grandchildren: Danette Zolna (Angelo), Jessica Rishel (Jon), Shanon DeJacimo (Jesse), Joe Deniakis, Chrissy Deniakis, Christian Brown and Nathan Brown; 16 great-grandchildren; a sister, Monte Patchen of Warren; and a brother, Gus Marmarinos of Missouri. Preceding her in death were her parents; a son, John Deniakis; and a grandson, John Deniakis. Services are 11 a.m. Monday, April 22, 2019, at Staton-Borowski Funeral Home, with pastors Nicholas DeJacimo and Mark Cohen officiating. Interment will follow in Oakwood Cemetery. Friends may call 10 to 11 a.m. Monday, April 22, at the funeral home. Arrangements have been entrusted to the care of the Staton-Borowski Funeral Home, 962 North Road NE, Warren, Ohio 44483, 330-394-6200. Dedicated to serving your loved ones. View this obituary and send condolences to www.statonborowskifuneralhome.com.